Licensed by both the UK Gambling Commission and the Malta Gaming Commission, Playgrand is another solid choice for the European online casino player. Playground started up in 2013, and is owned and operated by Cadell Limited N.V.
With over 600 slots games available for play on the desktop application, and nearly 500 available on the mobile-enabled version of the site, Playgrand offers a wide variety of gaming options for rookie and seasoned online casino players alike. Playgrand offers games from all the leading casino software providers, including BetDigital, Barcrest, ELK Studios, Merkur, Fantasma Games, Meta Games, Nyx, Quickspin, Seven Deuce, Felt, Evolution Gaming, Old Skool, Sigma, Scientific Games, Bally, and WMS Gaming. Slots games available for play include Dragon, Dead or Alive, Queen of Thrones, and Jack & The Beanstalk. There is also a wide selection of live dealer table and card games available for play on the Playgrand website. These include American Roulette, French Roulette, Ultimate Blackjack, Classic Blackjack, and Ultimate Texas Hold’em. If you are a fan of video poker, Playgrand has you covered as well. Popular video poker games on the site include Joker’s Wild 1 Hand, 50 Hands Jacks or Better, and 100 Hand Deuces Wild. If you enjoy other types of online casino games, Playgrand can also meet your needs. The site has a wide array of lotto and keno-style games. Playgrand has a mobile app available for download on all major devices (Android and iOS). The minimum deposit on Playgrand online casino is £20. You can make deposits using Trustly, Sofort, Skrill, Visa, Ukash, Paysafecard, Neteller, MasterCard, and Maestro. Withdrawals can be made using Visa, Skrill, Neteller, or Bank Wire Transfer. Withdrawals can take up to 72 hours to complete, but there are no limits. 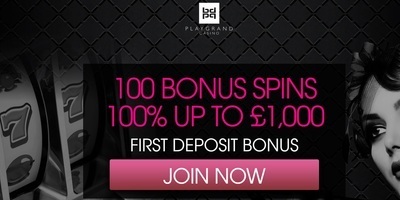 Playgrand currently offers a 100% sign up bonus on your first deposit (up to £1000). In addition to the 100% bonus on your first £1000 in initial deposit, you also receive 100 free spins on one of several popular slots games (Starburst, Jack & The Beanstalk, Guns N’ Roses, Fruit Shop, Gonzo’s Quest). In order to cash out your first deposit bonus, you must wager the amount 35 times over. Bonus must be played within 30 days. 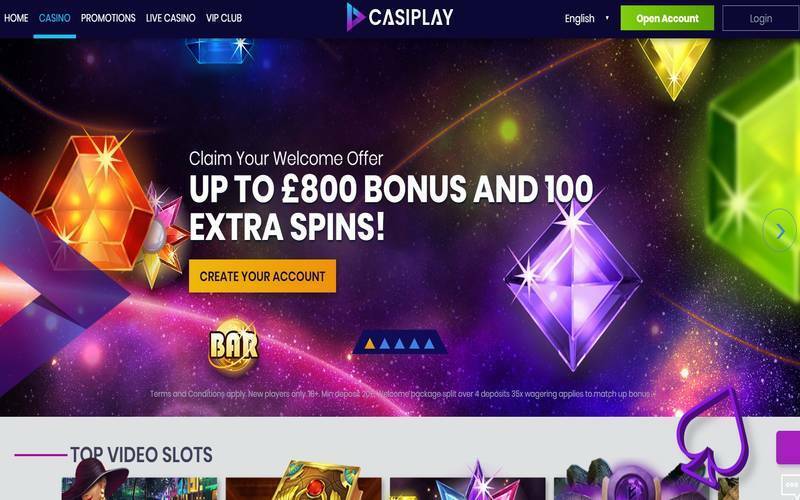 Bonus spins must be used within 10 days after your initial deposit. Playgrand is available in Swedish, Norwegian, Finnish, and English. Playgrand casino player support is available 24/7 via the live chat option. There is also an email support option, but support times may vary. Playgrand offers the high level of player security one would expect from a regulated European online casino website. Player information is SSL encrypted to ensure protection of both your money and personal data. All games are regulated by gaming authorities in both the United Kingdom and Malta, ensuring fair and honest gaming is being offered to the European gaming public. With an exceptionally wide selection of online slots available for play, top of the line customer support, a generous new player bonus, and fast and fair deposit and withdrawal options, Playgrand is another great choice for European online casino players looking to play their favorite slots and/or live dealer games.